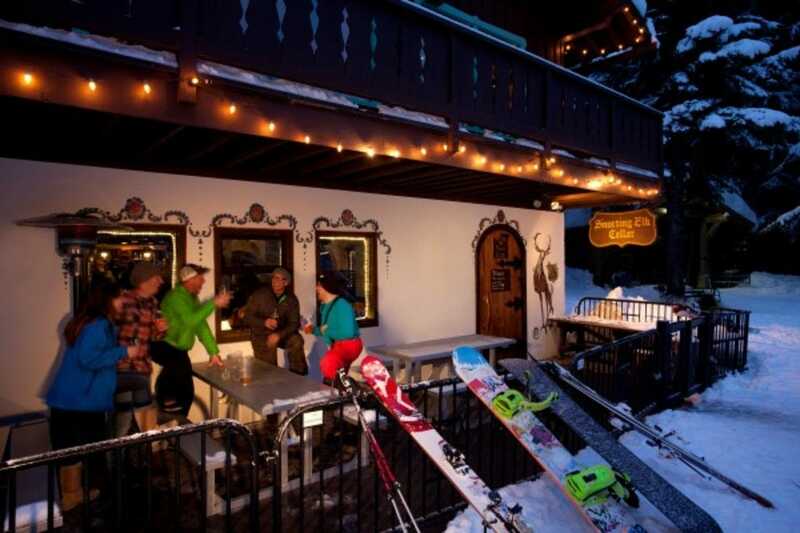 Readers Choose The Matterhorn as Best Après-Ski Bar! After a long day on the slopes, there's nothing quite like sitting down with good friends and cold (or hot) drinks for an evening of après-ski revelry. 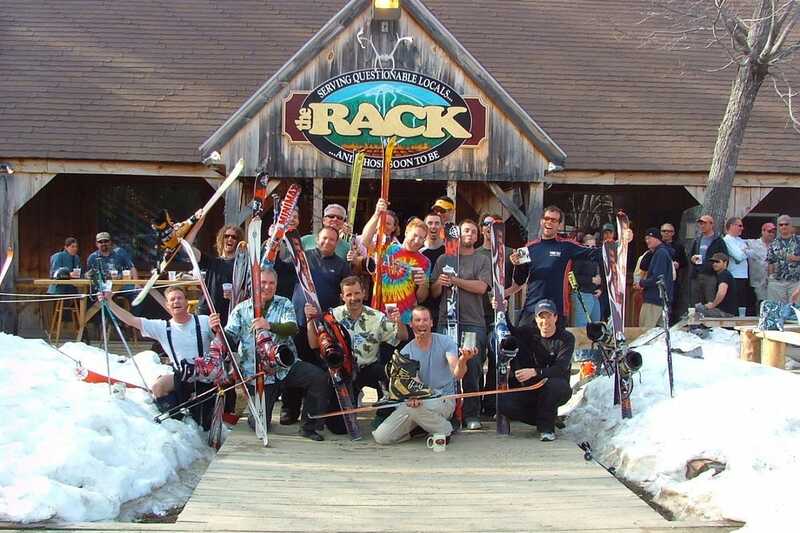 USA TODAY 10Best readers have voted these 10 ski town bars as the best in North America for après-ski action. Stowe's liveliest après-ski destination, The Matterhorn, has a bit of an identity crisis in a good way. Part pizza parlor and part sushi bar, The Horn transforms into quite the party scene at the end of a powder-filled day on the slopes. Pool tables, live music and riverside location add to the appeal. 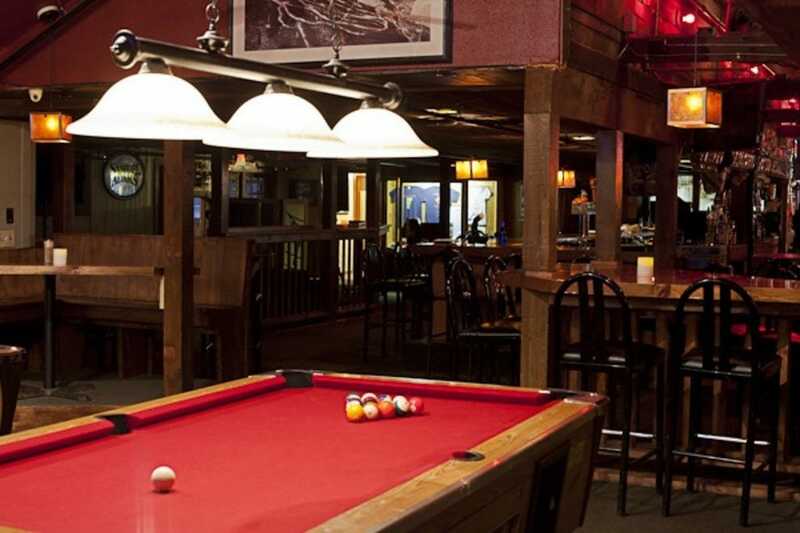 Park City's oldest – and arguably most popular – bar is the No Name Saloon. Opened in 1903, this Main Street watering hole offers shuffleboard, a fireplace, impressive whiskey menu, buffalo burgers, cold beers and a heated patio with excellent Park City views. Located about a mile from Sugarloaf Mountain, the aprés party at The Rack includes slow-roasted BBQ, beer specials, live music and a lively roadhouse setting. Oh, and it's owned by pro snowboarder Seth Wescott, so you know you're in good hands. While a craft distillery might not immediately scream après-ski, High West Distillery and Saloon gets the job done. This Park City ski-in saloon and restaurant (and the only ski-in gastro-distillery on the planet) sits right at the base of Quittin' Time run inside two repurposed historical buildings. High West also has the distinction of being Utah's oldest distillery, in operation since the 1870s. Easily one of the best après-ski bars in the Pacific Northwest, The Snorting Elk Cellar is housed in the cellar of a Bavarian-style lodge near Crystal Mountain. A hot drink menu is complemented by 18 locally-crafted draft beers, all poured next to a warming, roaring fire. Skiers with après on the mind in Whistler often find themselves at Garibaldi Lift Co., located just above the Whistler Gondola building overlooking the slopes of this favorite B.C. mountain. Kid-friendly during the day, GLC turns into Whistler's party place come sundown. For a bit of local flavor, order a Caesar – Canada's tasty version of a Bloody Mary. Alta's Peruvian Bar is often packed with a combination of skiers, boarders and taxidermy animals. The bar deck features two hot tubs and a heated pool, while après-ski means appetizers and shotskis. Come on Sundays for live music. 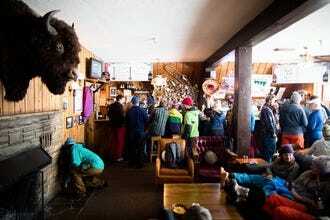 Opened in 1967 at the base of Jackson Hole Mountain Resort, the Mangy Moose has become one of North America's most famous après spots, thanks to its live music, spicy margaritas, low-key atmosphere and often rowdy crowds. Squaw Valley's Le Chamois & The Loft Bar helped pave the way for the après-ski scene in North America. California sunshine, comfort food (think pizza and chicken wings) and budget-friendly beers make this a Tahoe-area favorite. Thirsty groups of friends can take advantage of the Buddy Pass, which includes 20 pints of Budweiser for $60. Built from repurposed New England barns, the Wobbly Barn in Killington has been serving hungry and thirsty skiers since it first opened in 1963. 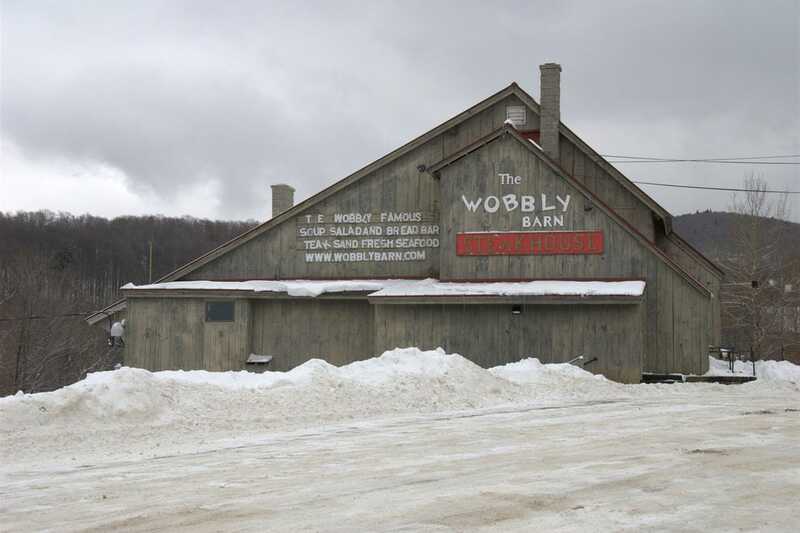 Part steakhouse and part nightclub, the Wobbly is fun all around, and they even offer a free shuttle up and down Killington Road on ski season weekends. The Matterhorn - Stowe, Vt. The Snorting Elk Cellar - Crystal Mountain, Wash.
Garibaldi Lift Co. - Whistler, B.C. Mangy Moose - Teton Village, Wyo. Le Chamois & The Loft Bar - Squaw Valley, Calif.
Wobbly Barn - Killington, Vt.
Additional nominees in the category of Best Après-Ski Bar include Ajax Tavern, The Bag and Kettle, Bavarian Lodge, The Beach, Garfinkel's, Gold Pan Saloon, Mi Casa Mexican Restaurant & Cantina, Million Dollar Cowboy Bar, Montanya Distillers and Unbuckle Apres Party.